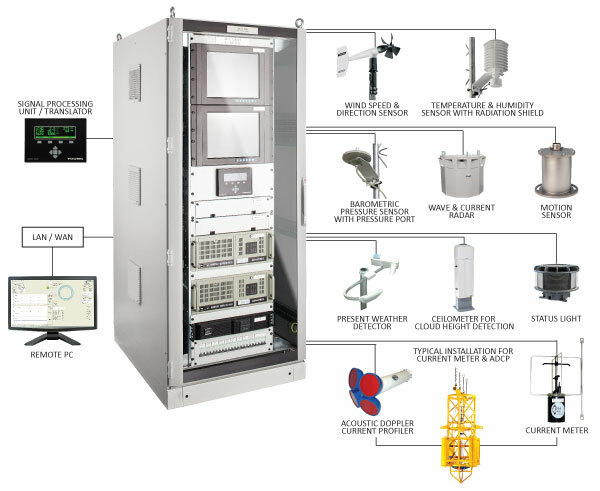 Environmental Motion Monitoring System (EMMS) is one of OMEGA’s dynamic product solutions for the accurate and reliable monitoring, recording and acquisition of meteorological parameters for the industrial, marine, oil & gas industries. Different sensors, signal processing units, display panels and sophisticated software are used to gather information, process, present and log the recorded data; reliable brands are selected to ensure the industrial requirements as well as Omega’s high quality control standard ; all the sensors reading are integrated to be displayed on single optimized software. Across the whole system, what OMEGA is always applying are the state-of-art technology, high quality, customization yet the cost effective solutions.